Japan Centre has so much to offer, from sushi kits to traditional Japanese gift ideas found on the LG floor of 213 Piccadilly. We house a whole host of unique products which someone you know is bound to love! As well as all the usual (or unusual) delicious food and unmissable books and magazines, we offer kitchenware, bathware, homeware and accessories all under one roof. For The Sushi Lover ~ a sushi kit, exquisite handmade sushi knives, a Sushi Academy Lesson? 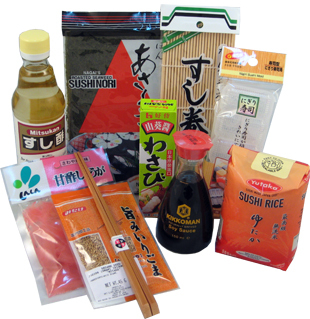 Japanese Food Connoisseur ~ sake, tempura, noodles, yakitori, katsu curry or tea ingredients? House Proud ~ table settings, chopsticks, dishes, bowls, trays, tea cups, teapots, sake cups and sake bottles? Bookworm ~ manga, fashion bibles, textbooks, guidebooks or subscriptions? Cute Japanese ~ bento, Hello Kitty, Pocky, collagen facemasks, phonecharms? 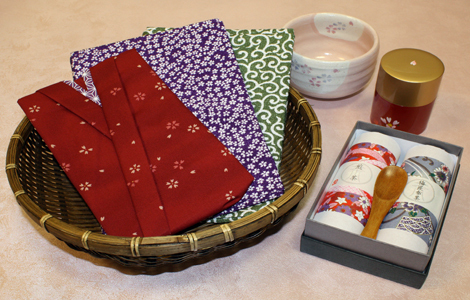 Traditional Beauty ~ tea sets, yukata, ceramics, fans, mirrors and ornaments? We’re located seconds away from Piccadilly Circus underground, and also have an award winning website (The Independents 50 Best Online Food Shops) so you don’t even need to leave your own house, excellent. Posted in Books, Food, Tea and tagged christmas, presents, xmas. Bookmark the permalink. A highly comprehensive choise, cannot wait to buy!